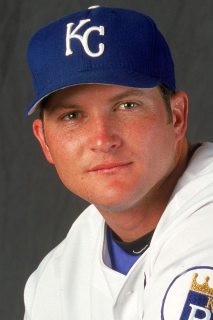 Draft: 1991, Kansas City Royals, 10th rd. November 7, 2010 1B Mike Sweeney elected free agency. August 4, 2010 Seattle Mariners traded 1B Mike Sweeney to Philadelphia Phillies. July 17, 2010 sent DH Mike Sweeney on a rehab assignment to Tacoma Rainiers. June 27, 2010 Mike Sweeney roster status changed by Seattle Mariners. June 18, 2010 Mike Sweeney assigned to Seattle Mariners. June 18, 2010 Seattle Mariners activated DH Mike Sweeney from the 15-day disabled list. June 7, 2010 Seattle Mariners placed DH Mike Sweeney on the 15-day disabled list retroactive to June 3, 2010. Lower back inflammation. June 3, 2010 Mike Sweeney roster status changed by Seattle Mariners. April 4, 2010 Seattle Mariners selected the contract of DH Mike Sweeney from Tacoma Rainiers. April 3, 2010 Mike Sweeney assigned to Tacoma Rainiers. February 12, 2010 Seattle Mariners signed free agent DH Mike Sweeney to a minor league contract and invited him to spring training. November 5, 2009 DH Mike Sweeney elected free agency. July 21, 2009 Seattle Mariners activated DH Mike Sweeney from the 15-day disabled list.